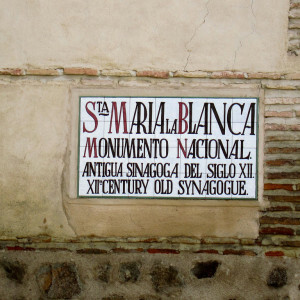 A center of culture and religion since the Middle Ages, Toledo has been home to Jews, Christians, and Muslims from the Maghreb. 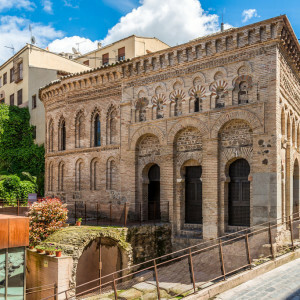 Now a UNESCO World Heritage site, the churches, synagogues, and mosques that dot this beautifully preserved city are a testimony to the heterogenous history of Europe. 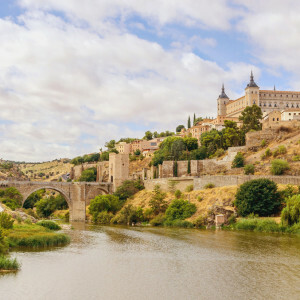 During this day trip from Madrid to Toledo, we'll join a historian for a Toledo walking tour that explores the architectural and social history of Toledo and offers insight into the city that is traditionally known as ‘the melting pot of three cultures. 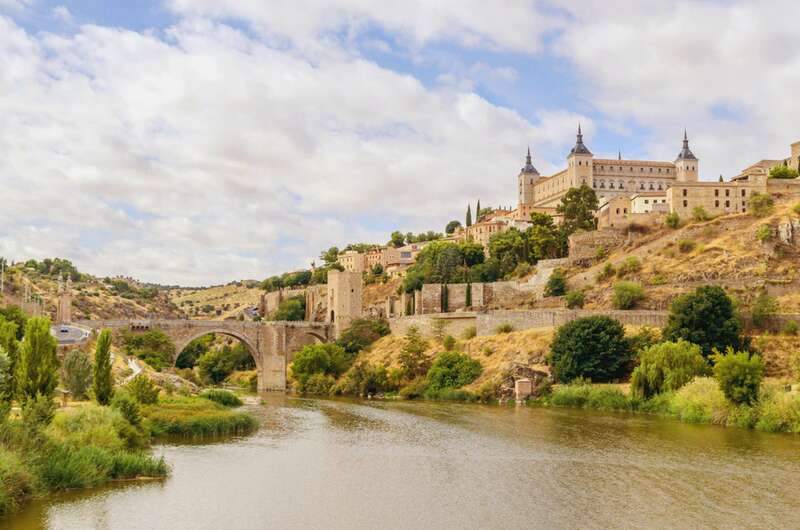 Our discussion will begin on the 20-minute train ride from Madrid, during which our scholar will lay out the basic timeline of the city's history and some of the main themes to think about. 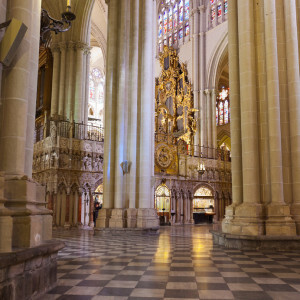 Once in Toledo, we'll begin our walk at the Cathedral, whose origins go back to the seventh century, and which boasts a superb collection of Gothic altarpieces, funerary monuments and choir stalls. It also contains a rare religious painting by Francisco Goya—though if you'd like to see more, we suggest our Goya Madrid walking tour. 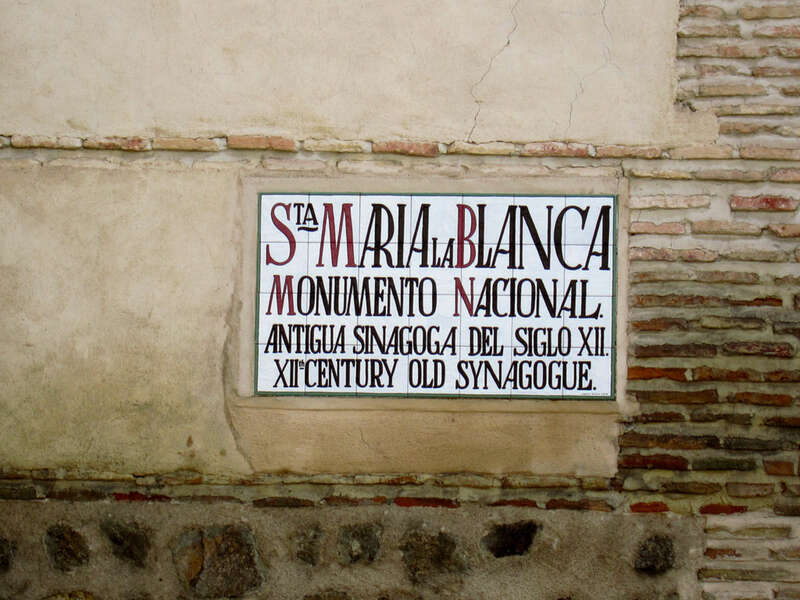 From here we will head to the Synagogue of Santa Maria la Blanca, stopping along the way at the church of San Tomé to examine one of El Greco's masterpieces, The Burial of the Count of Orgaz, within the context of medieval funerary customs and the relevance of its setting in Toledo. 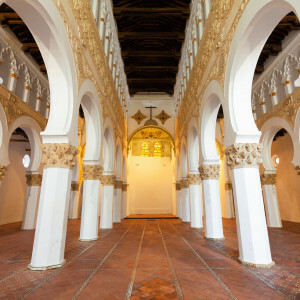 The fourteenth-century Synagogue nearby, which houses the Museum of Sephardic Culture, is crucial to our understanding of the Jewish influence on Spanish culture. 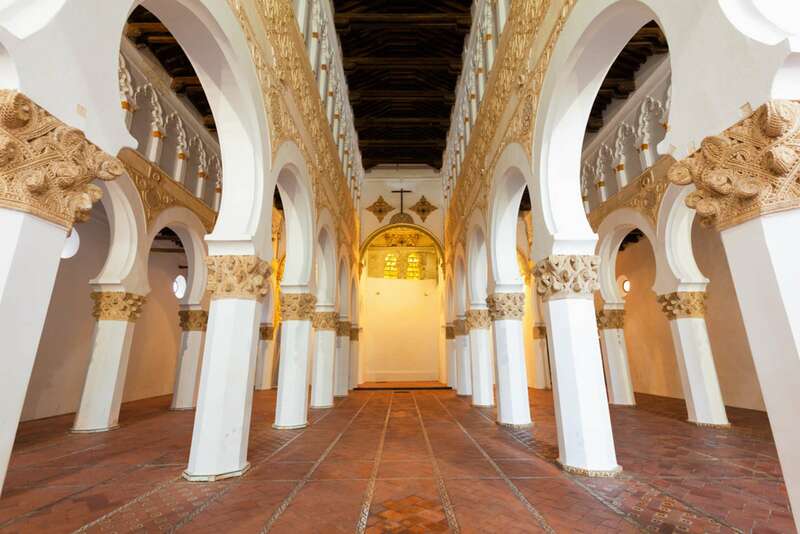 After a tour of the Jewish quarter, we will visit the late fifteenth-century Monastery of San Juan de los Reyes, commissioned by the Reyes Católicos, and a perfect setting for a discussion of the political and religious decisions taken by the monarchs. 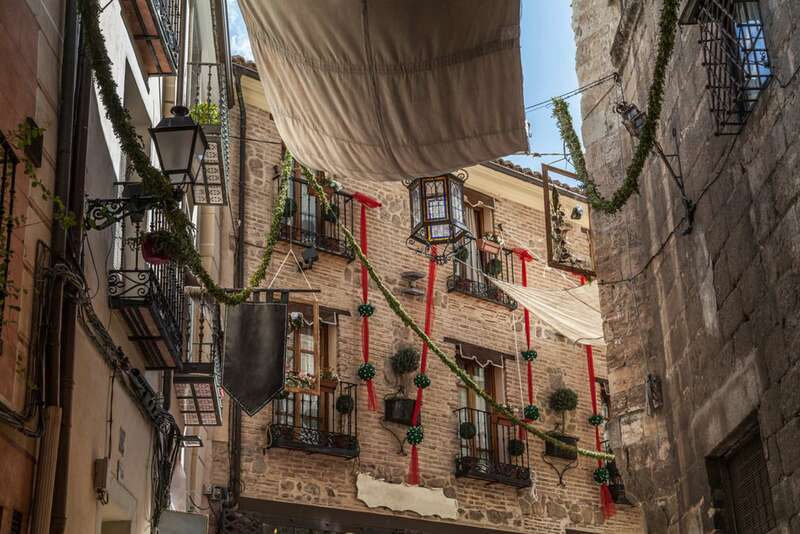 Looking for another day trip that explores turbulent Spanish political history? We suggest our Madrid to El Escorial excursion. 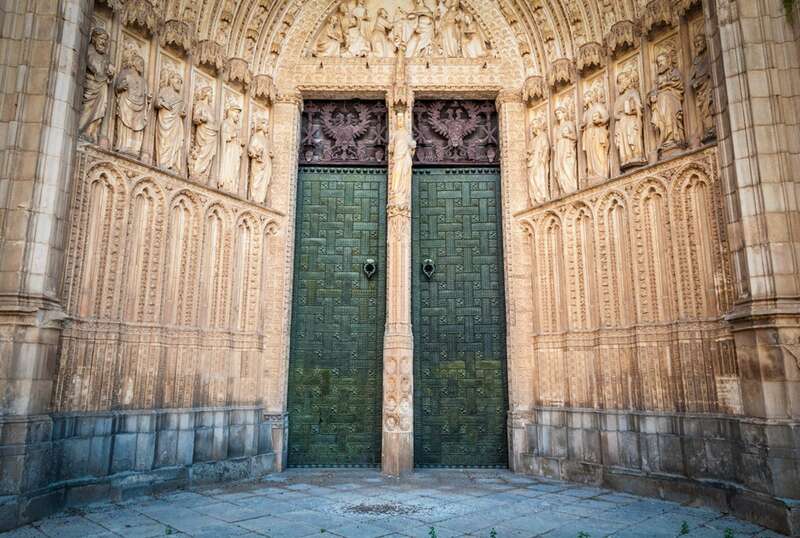 At this point, we'll leave you with an understanding of Toledo's rich history. 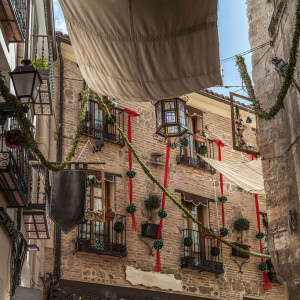 From here, you may choose to further explore the rest of Toledo on your own, or armed with your expert guide's recommendations. 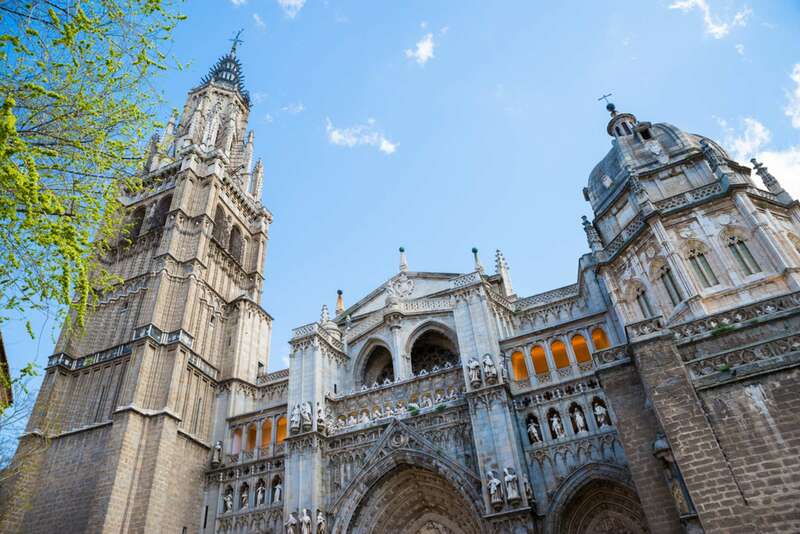 We start this excursion in the morning, accompanying you to Toledo by train, and spending the day touring the city. We finish the program around 2:45 pm. 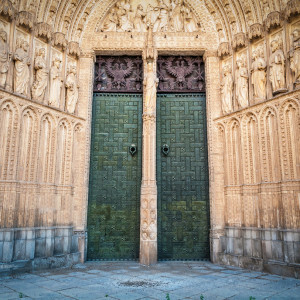 Most clients elect to stay in Toledo for lunch and explore the rest of the city on their own. During booking, you will be given the option of a 3:25 pm or 5:25 pm return ticket. Please select one or the other so that we can pre-arrange your train tickets. If you would like an even later return, please select one of the ticket options and make a note about your desired return; we will follow up with options before we arrange the tickets. Note: We do not include a break for a full lunch on the tour. There will be a pause mid-excursion for a short snack. 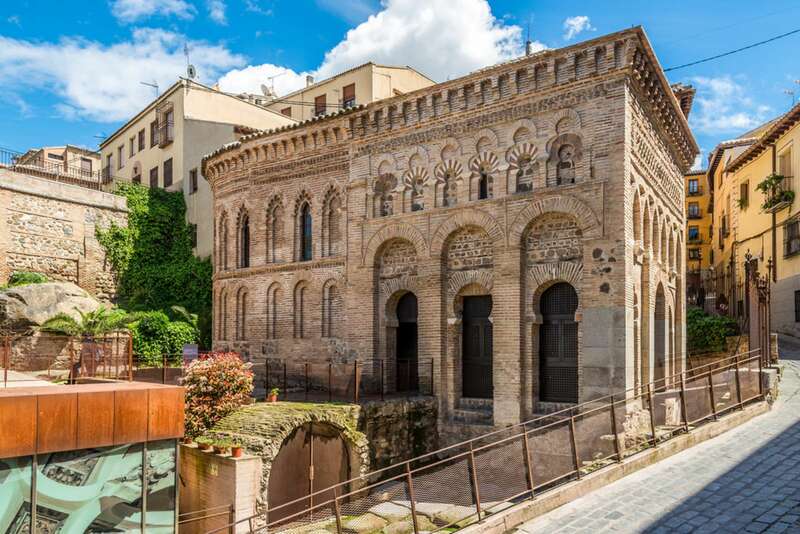 Your docent can recommend lunch restaurants in Toledo for after the walk, should you choose to take the later train back to Madrid. Where do we meet? Where does it end? 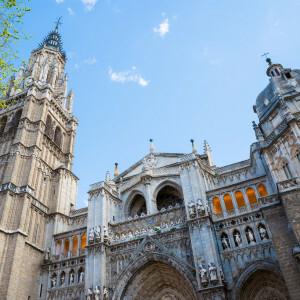 The tour begins at Madrid Atocha train station and ends in Toledo. Your confirmation email will have the exact meeting point details along with a map, and 24 hour phone number. The train journey takes about 45 minutes, and your docent will have in her possession your advance round-trip train tickets. 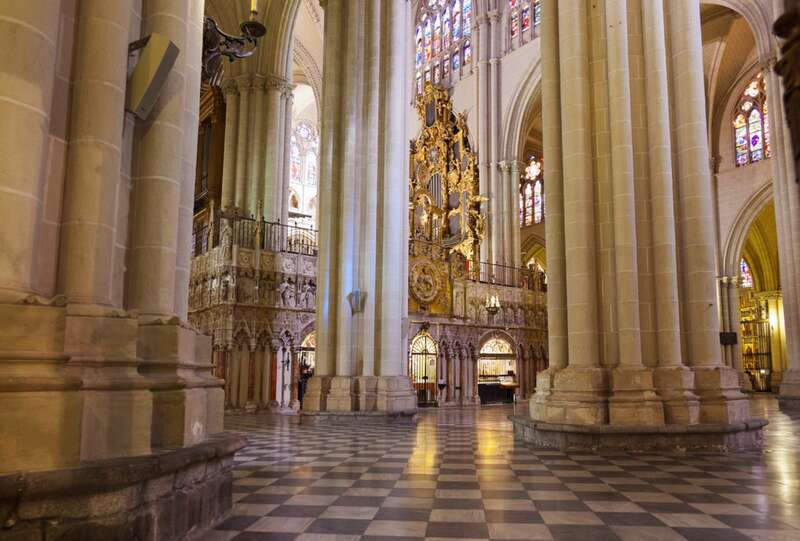 You are welcome to stay in Toledo after the walk and explore on your own, or return with the docent. Please let us know during booking which return train you prefer (3:25 pm or 5:25 pm). Is this seminar walking intensive, and/or wheelchair accessible? We do cover extensive territory on this seminar. Please contact us with any questions; we will be happy to advise if this seminar will be appropriate for you. Please note that many sites in Toledo are unfortunately not very wheelchair-accessible. Will there be time to explore Toledo on my own? We encourage you to spend time in the city after the walk. Please let us know during booking which return train you prefer (3:25 pm or 5:25 pm). Your docent will likely return on the 3:25 pm train. NOTE: There are later return options; if you'd like an even later return, please contact us to hear about other options. Originally from Equatorial Guinea, Clara moved to Spain when she was 2 years old. She holds degrees in geography and history and a Master’s in art history from Sorbonne University in Paris. 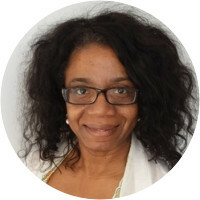 With more than fifteen years experience in museum education and public programs, Clara has worked at the Peggy Guggenheim Collection in Venice (Italy), the Smithsonian Institution in Washington, D.C, and a number of institutions within the cultural department of the Ministry of Culture in Spain. She also has designed art and cultural tours for groups for more than 10 years. At present Clara works as a Public Programmes and Communication Coordinator at the Museo del Traje (Costume Museum) of Madrid, organising events, lectures, group visits and educational programmes. 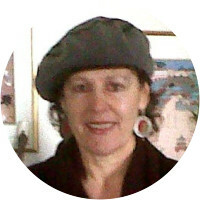 An avid traveller, she has lived in Seville, Bilbao, New York City, Washington, D.C., Venice, Florence, London and Paris. Interested in different aspects of Spanish cultures, she also has been developing her other passion: food. She has certificates in wine tasting from the Spanish School of Wine Tasting and the Basque Culinary Center and in Gastronomy from the Complutense University. 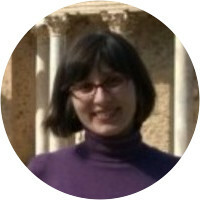 At the present she enjoys combining her research in Spanish Art History and Spanish Museums with her passion about food in Madrid and in the Basque Country. Itziar Mesanza obtained her first degree in tourism in the Spanish city of Bilbao, famous for its wonderful Guggenheim Modern Art Museum. She continued her studies with a Masters in History and has been living and guiding in Madrid. Passionate about travel, Itziar lived in Dublin for one year and shares Spanish history and culture on specialized tours around Spain. Barbara Perucka has been living for more than five years in Madrid. She earned her Ph.D. in Art History, as well as her Bachelor’s degree in Italian Philology, at Adam Mickiewicz University in Poznań (Poland). Her research interests focus on medieval painting, art at European courts, and travel literature. Her doctoral thesis was dedicated to the decoration of a French manuscript "Livre des merveilles" (Book of Wonders, Paris, Bibliothèque nationale de France, ms. fr. 2810). She has published papers about late medieval tapestries and medieval illustrated accounts of a journey, and was a professor of art history at Adam Mickiewicz University in Poznań and Nebrija University in Madrid. She also received several research grants in Paris, Dijon, Vienna, Pisa and Brussels. Barbara was superb. She has a gift for communicating clearly and with engaging color both the history and the culture of Spain. She is plainly an expert in her field. We were also impressed with the poise that she showed in dealing not only with the elements (cold and rain) but also with a member of our small group who believed that he was capable of leading the tour, finishing Barbara’s sentences (often incorrectly) and generally disrupting her polished presentations. She earned an A+ for this tour. Excellent day as is usually the case! Barbara very good. No issues at all. Maybe make the tour one hour longer. We moved at a pretty brisk pace. You did an excellent job with our tour. Barbara was such an excellent source of information. Thank you for granting us your best guide. WE LOVED BARBARA!